Ronsley is the founder and chief daydreamer at Amplify. He is an author, speaker, and serial entrepreneur. He has a master’s degree in Software Engineering and an MBA in Psychology and Leadership. He is known as the creator of We Are Podcast – the first podcasting conference in the southern hemisphere, and the host of The Bond Appetit podcast and Should I Start a Podcast. He has an audience of over three million people in 133 countries. 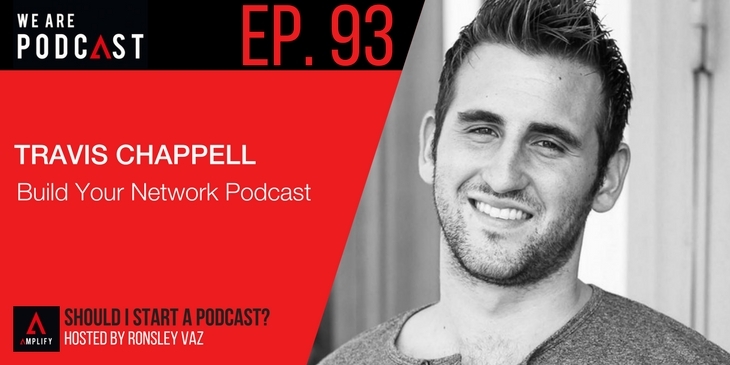 In this episode, we feature an appearance Ronsley made on Travis Chappell’s Podcast, Build Your Network. In the show, Ronsley and Travis dig deep into what it means to be an entrepreneur, mentorship, how to develop yourself personally and professionally, and how to think about failure.